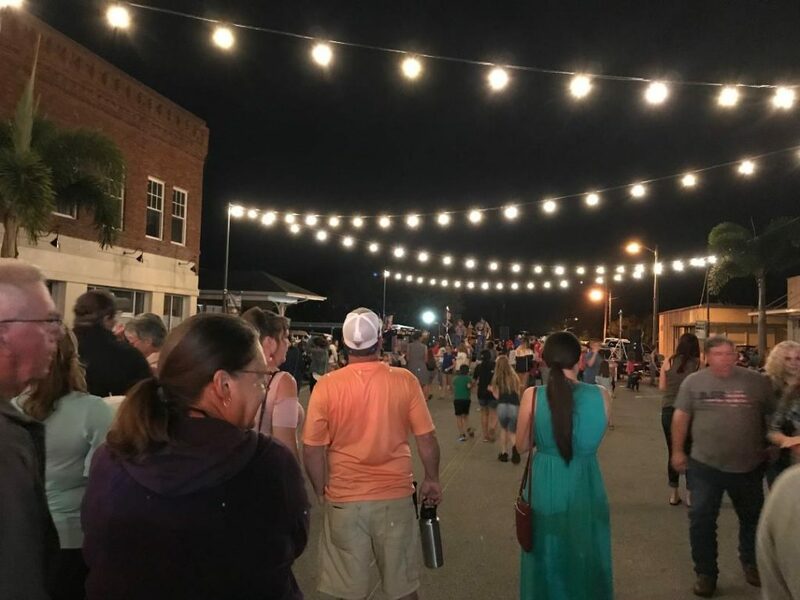 We have been in Frostproof before and when we heard there was a Valentine’s street dance going on, it called for a return visit. This tiny hamlet in Polk County is known as “The Friendly City and it’s easy to see why. When we arrived, the sun had set, Wall Street was blocked off, the food trucks were parked, up and operating and the overhead lights had been illuminated. We first were struck by the size of the crowd, literally hundreds of people had set up their camp chairs and were milling about waiting for the entertainment to start. We took the opportunity to go to a little restaurant we previously had visited. 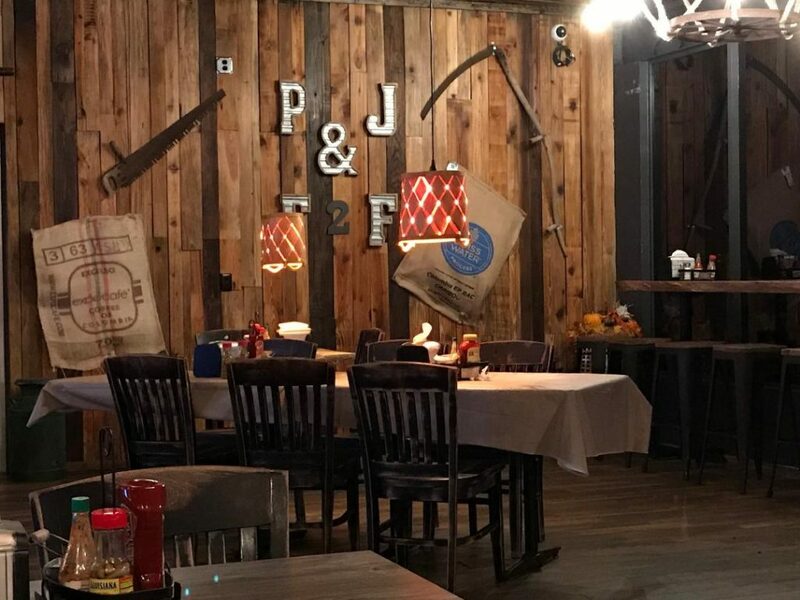 PJ’s Farm2Fork is a restaurant that tries to source locally produced food with an emphasis on organic or those grown without pesticides or herbicides. That, coupled with interesting recipes provides a very cool eatery in a very unlikely place. We started with an order of the “duck fried potatoes,” which are red potato chunks fried in duck fat with a special dipping sauce. We each then had a B.E.L.T. 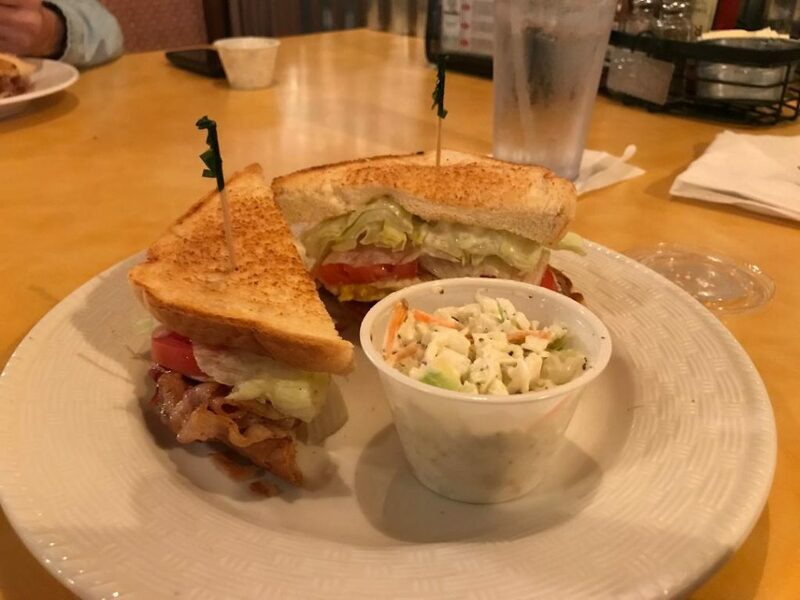 – which is a BLT with an Egg added along with some herby mayo on Toast. It made a tasty meal for less than $10 apiece. Following our dinner, we got back just in time to see the band. A brace of food trucks were at the near end of the street. There were a couple of offerings of burgers or barbecue, there was a gyro provider, a coffee, latte & frappe truck as well as a doughnut truck. The high school also had a tent with various forms of drinks to help support “Project Graduation” for the kids. The Outta Hand Band was truly a surprise. Apparently a four piece band specializing in country with some rock and pop, they were joined this particular evening by a young lady who played both fiddle and harmonica as well as a steel guitar player who knows his way around a raja bar. Much of the crowd was up and dancing and in fact I even enticed Mrs Funmeister to joining me in tripping the light fantastic on several of the band’s slower ballads. We understand that in addition to their cover songs The Outta Hand Band also play a number of original compositions. 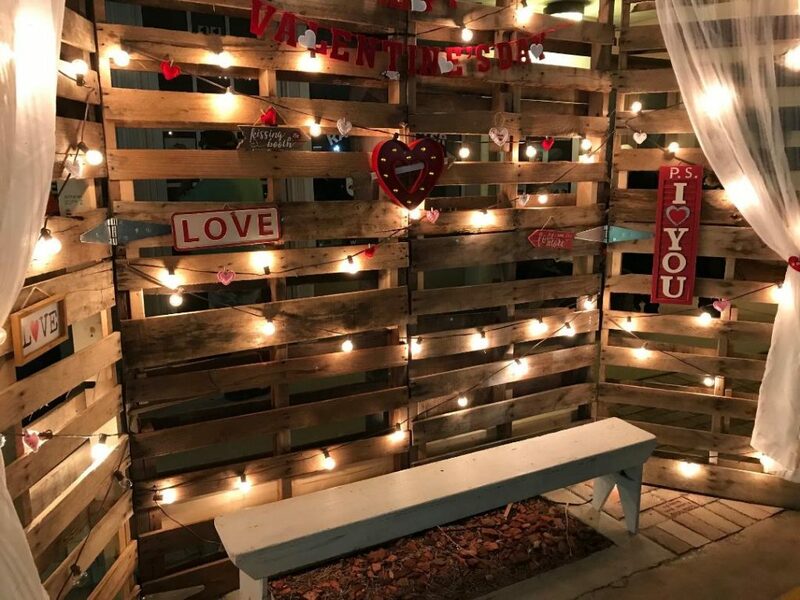 Being a Valentine’s Day street dance, there was a special “photo booth.” The set consisted of a bench with a lighted background made up of pallets – festooned with hearts and signs. It was set up for couples (or groups) who wanted to have special selfies or photo to remember the evening. 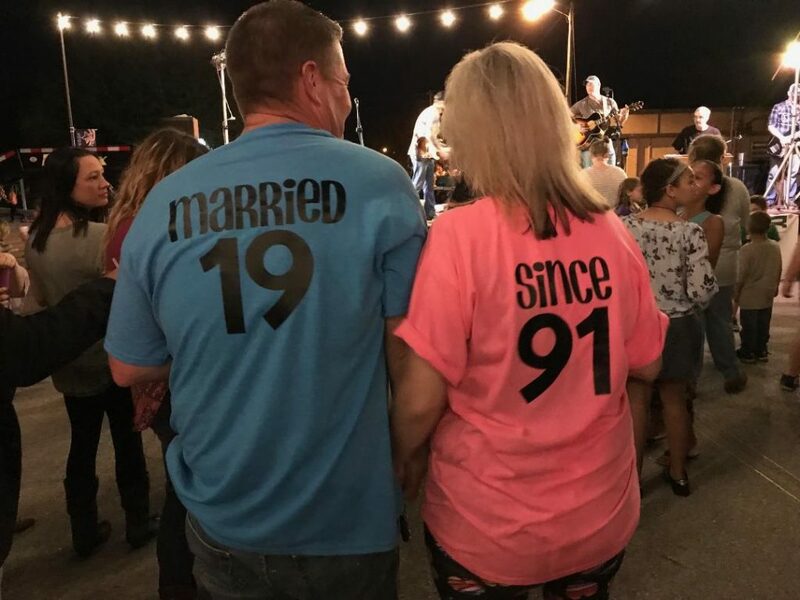 Indeed, along with seniors and children, there were a lot of couples who took advantage of the evening to come out for a date night and have some fun. 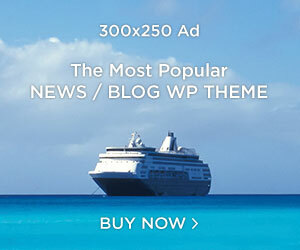 Including one couple who had just celebrated their 28th wedding anniversary, having married on Valentine’s Day. There was no question about this pair. 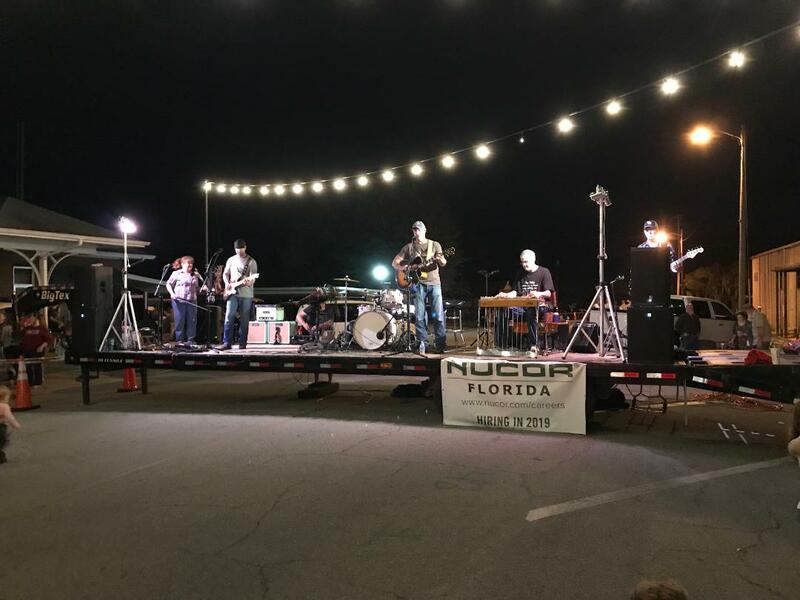 The entire program apparently was established by the Frostproof city council with funding set up by the NUCOR steel manufacturing firm which is set to begin construction in the area.